I saw that this weekend’s Flash Sale on the PSN had Cyberbots for the PS1. I never loved this game, but about a year ago (Aug 29th, to be exact) I had the urge to see Z-Gouki in action. Now he was never available in the arcade version and I was tempted to buy the PSN game. However ePSXe works wonders and I was able to capture him there! It required a lot of cleaning up, to be honest, but while I’m capturing images for a future SFGalleries update, I figured I’d share the only known sprites of Z-Gouki that I know of. It’s his standing pose. Doing a full animation was way too much work for my tastes so here is a pair of GIFs for you all. Kinda cool IMO. DoDonPachi: Daifukkatsu Steam! All Modes! So DDP:DFK is coming to Steam. OK, that’s kinda exiting. The real news is that the base game will feature all modes! Now, as a westerner, I was relegated to getting the European version of Resurrection. Sure, it was nice being localized and the bonus disc was cool, but with no access to Black Label, I missed out on a completely different DDP experience! And I missed out on Ketsuipachi which, for completion purposes alone, was a travesty! Whenever Degica ends up releasing this, I’ll be sure to grab it. Don’t care that it’s considered to be one of the weaker DDP games nor that it’s 8 years old already. I’m psyched for this one! My new video card will be happy too! Can’t friggin’ wait!!! Oh, here is the full game-mode list!!! I love gaming, there’s no question about that. But as August winds down and we enter the final third of 2016, it appears it’s been a rather lackluster year! A quick look back at what has come out and what I’ve played reveals a slow trickle of games truly worth playing. Umm…Seriously? NOT ONE original title? Maybe I’m just a cautious buyer now, but c’mon, that’s pathetic. So, we have three ‘remasters’, one re-envisioning, and three sequels. Now, the sequels are good. 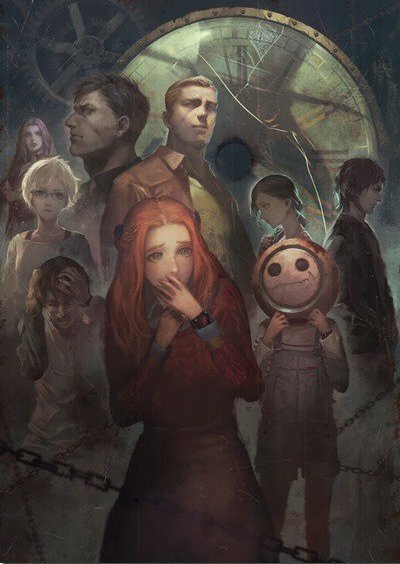 ZTD is a solid finale into the fun series, SFV as a package is flawed but the gameplay is spectacular and the production value of UC4 is second to none. It just makes a ‘Game Of The Year’ competition unfun. There are other sequels coming…Gears 4, Rise Of The Tomb Raider, and Final Fantasy XV. There are also more re-re-releases like Rez Infinite and Resident Evil 4 as well as Modern Warfare and Skyrim. However, if that were my top seven of 2016, it’s sad to know I’d already beaten two of them, three if you count R&C. I have friends curious about Mafia 3 or Battlefield 1 or whatever, but going by what interests me, there’s almost nothing on the horizon. And in my Game Of The Year competition, I list the best game and the best new IP title…I have NOTHING for the latter? Asterisks denote games I’d already beaten already (barring HD upgrades, etc.) Of the 14 titles, I’d already completed 6? Two of those were my GotY for 2008 and 2013!!! The two Lego titles I got platinums in. They’re fun to play with the kids. But they’re the same as every other Lego game. There’s nary an interesting and unique game in the lot that has done something I hadn’t already done or seen before. Well, Gone Home but that almost doesn’t even count. So…I’m disappointed by 2016 but hey, it’s how things go. I haven’t tried No Man’s Sky yet. Maybe that’ll be great. For giggles, here’s a full list of what’s left in the year as well as a few titles that trickle into 2017. There’s no bass on this one. I’ll probably be selling my bass tomorrow. :( It’s good though. With madness looming, I figured I’d finish this one up. I’ve been working on it for a few days and I don’t want another unfinished song (you missed New 01 – 07, aren’t you upset?). Anyways, there are a few sloppy portions that I just didn’t bother to go back and fix. Hope you enjoy!